Speedruns. A lot of devoted gamers attempt to complete a favorite game (or even a non-favorite) in a matter of hours – maybe even minutes. Only a handful are ever really successful at completing a new world record, but one particular team has made a habit out of it, all in the name of charity. That team is Awesome Games Done Quick, which is currently holding its winter-based run for early 2016 through January 10th. In those days to come, the players taking part will be attempting to complete some of gaming’s toughest challenges to raise money for the Prevent Cancer Foundation, ranging from the “classic” NES game Hudson Hawk (yes, the one based on the so-bad-it’s-good Bruce Willis film) to Sonic Lost World to Final Fantasy IV. So far, this team has raised over $325,000 for charity, which looks to be on par for the record numbers they raised in 2015, $1.57 million for the early part of the year, and $1.2 million for its Summer Games Done Quick marathon. The speedrun marathons were originally initiated by the Speed Demos Archive and Speedruns Live, working alongside charities (like Doctors Without Borders, Prevent Cancer Foundation and others) while broadcasting their efforts through Twitch, enabling viewers to take part while they were making history – and mistakes – with live gameplay. There are also times, like indicated in the video below, where gamers will compete against one another to see who can complete a game quicker. The initial Classic Games Done Quick, which took place in January 2010, raised over $10,000 for CARE – but with each passing year, it’s gotten bigger word of mouth, and has raised more money successively for various charities. Viewers of the marathon do much more than just watch and cheer on their favorite speedrunners. In an effort to drive up donations, they’re actually invited to take part in challenges, as well as win prizes from a number of sponsors, such as The Yetee and others. These vary by game, including bonus character skins for New Game + and more. The full rundown of this year’s Awesome Games Done Quick schedule, complete with challenges, can be found here. Like Extra Life, this is a pretty sweet charity that actually runs for several days straight, without any breaks. Gamers usually alternate to try different games out, including various streaming superstars like Dragondarch, Midboss, BurnCommando and others. This enables the stream to keep going successfully, while not wearing a particular gamer out. 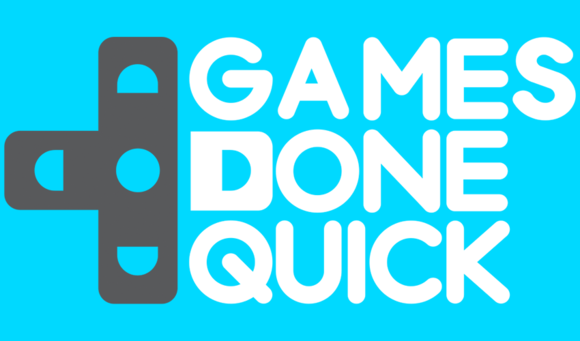 The event has also gotten the attention of mainstream game publishers, as Sony previously hosted a special God of War themed Done Quick marathon back in March 2015, teaming up alongside AbleGamers to celebrate the 10th anniversary of its action series, while at the same time raising over $3,500 for the group through charity. Sony even went as far as to host it through its Santa Monica studios, where the God of War games have been made over the years. Considering how strong social media is with Awesome Games Done Quick, it doesn’t appear that its success will die down anytime soon, if at all. These pros really show how well speedruns are done, whether in classic games like Tetris, indie games like VVVVVV, or more contemporary releases, such as Dark Souls 2. And the viewers get into the action as well, one way or another, being promptly rewarded by watching the best of the best in action – or getting a nice goodie out of it. Awesome Games Done Quick, we salute you…oh, and good luck on that Battletoads speedrun. It’s a killer. To learn more about the group – and see the live Twitch stream in action through the 10th – check out this link.